→Fat Blockers vs Carb Blockers – Do They Actually Work? 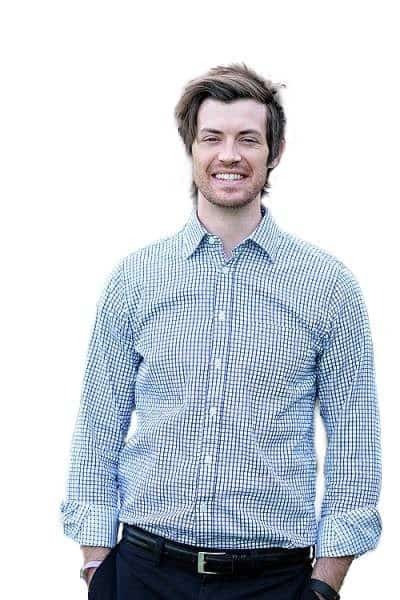 Wouldn't it be great if you could eat whatever you want and still somehow lose weight? That's basically the idea behind using something like a fat blocker (or a carb blocker), but the question remains - do they actually work? Unsurprisingly, the answer is no (sorry to burst that bubble!). If you are serious about weight loss then it turns out that there are MUCH better options than fat blockers out there (we will talk about what to use instead and why below). There are basically 2 schools of thought as it relates to why people gain weight. The first is that weight gain is primarily the result of excess consumption of fat. If you eat too much fat (1) then your body will preferentially turn that fat right into adipose tissue and you will gain weight and fat mass in the process. This logic is why you find so many "low-fat" foods at the grocery store and why these are considered to be "weight management" type of foods. 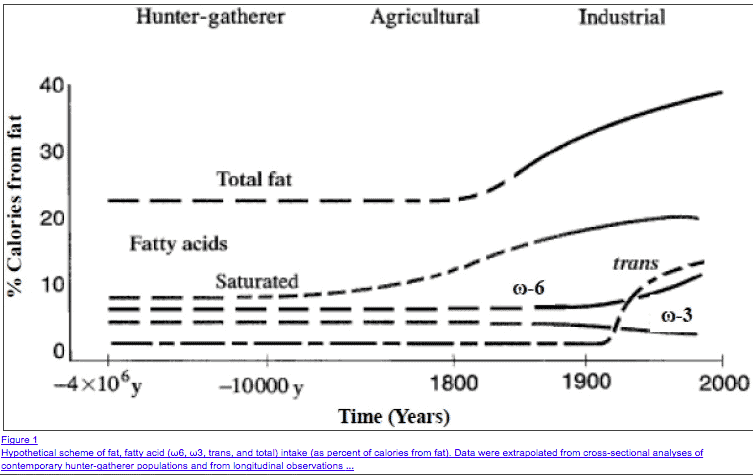 This is also why certain foods high in fat (such as fatty meats, butter, oils, etc.) are said to be "unhealthy". The idea here is that the consumption of carbohydrates (2) stimulates the release of certain hormones that then cause your body to preferentially store any energy that you consume as fat or adipose tissue. Consumption of these foods will cause weight gain due to hormone imbalances (primarily insulin resistance). This logic has lead to the explosion of low carb diets, low carb foods, and low carb marketing that we see all over. It turns out that SOME fat is actually harmful (3) (refined and processed oils), probably because it potentiates low-grade inflammation. If you tend to eat foods high in these types of fat, then, of course, you will gain weight, but it doesn't mean that ALL fats are bad for you. The same is true with carbs. Some carbohydrates, like rapidly absorbed sugars in energy drinks and sodas, are probably harmful because they are powerful stimulators of a hormone known as insulin (4). Chronically elevated insulin production will inevitably lead to weight gain, insulin resistance, and type II diabetes. Instead of hyper-focusing on whether or not you should be eating fat or carbs, it's far better to focus your attention on the quality of food that you put in your body. So how do fat blockers and carb blockers fit in here? If you subscribe to the theories above then if you can reduce the number of carbs or fats that you absorb then you will eventually lose weight. It is true that some studies show that these supplements and medications may be effective, but it doesn't mean that you should use them or that there aren't better options available to you. Instead of using fat blockers, for instance, it's far better to alter your diet to exclude the inflammatory types of fats that actually cause weight gain. Instead of eating obviously unhealthy food you can actively avoid bad fats while simultaneously taking supplements designed to target existing fat cells to increase fat metabolism or lipid oxidation. The combination of altering your diet and using fat metabolizers is far more effective than taking unproven fat blockers. What's even more interesting is that consuming healthy fats as actually been shown to increase fat metabolism by itself. The idea is that pure and healthy fats (such as those found in coconut oil) actually increases fat metabolism on its own and may lead to weight loss (5). Upon consumption of any food your body basically has 2 choices: store the energy you ate as fat or consume that energy. Special healthy fats trigger the consumption pathway and are therefore preferentially used as energy instead of being stored as fats. Unhealthy fats, on the other hand, may trigger inflammation (6) which promotes insulin resistance and sends the signal to your body to store these fats instead of burning them for fuel. To kick it up a notch you can also combine these dietary changes with certain supplements to help increase fat burn or fat metabolism. The supplements that I'm about to discuss have all been proven in various studies to help increase fat metabolism either directly or indirectly (more info below). Instead of focusing on simply blocking fat absorption (which doesn't really help) it's more effective to use these instead. CLA - CLA stands for conjugated linoleic acid and is actually a weight loss supplement that is a fat! This helps to illustrate the point that certain fats can actually cause weight loss while other fats can cause weight gain. CLA helps increase metabolism, blocks fat cell synthesis (decreases the formation of fat cells), reduces appetite and has clinical studies backing its use. You can learn more about how to use CLA here. 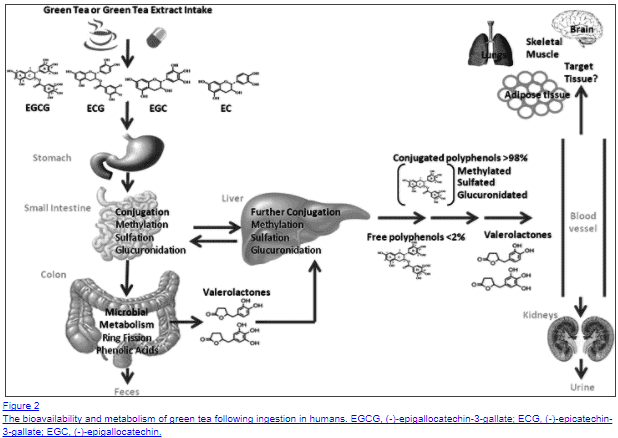 Green Tea Extract - Green tea has been proven to promote weight loss through several mechanisms. Green tea helps increase fat metabolism directly, it promotes fat burn and thermogenesis (7) and increases fat break down (lipolysis). These effects are mediated through changes in gene expression and direct actions on both muscle and fat cells. Fish Oil - Fish oil is another type of healthy fat which has been clinically shown to help with weight loss. Fish oil has been shown to directly reduce visceral adipose tissue and influence your metabolism through its influence on thyroid function. You can read more about the 6 different ways that fish oil helps with weight loss in this post. Berberine - Berberine has been shown to increase fat oxidation and metabolism through its influence on skeletal muscle. Taking berberine has been shown to increase the number and efficiency of mitochondria in skeletal muscle. The more mitochondria in your muscles the more energy they burn at rest = more fat burn. You can read more about using Berberine for weight loss here. The list of supplements above are far more effective than traditional "fat blockers" but please note that they should be combined with dietary changes for best results (this is true of any weight loss therapy!). Is there ever a reason when you should consider using a true fat blocker? Some people, due to various reasons, are not able to completely control the type of food that they eat on a day to day basis. Some people have work requirements, travel arrangements, etc. that may limit their food options. If this is true for you then you may want to consider using a fat blocker for situations when you can't control your diet 100%. There is really only 1 fat blocker to consider if you fall into this situation. The fat blocker I am referring to is Orlistat (8). Orlistat works by blocking a pancreatic enzyme known as lipase thereby reducing the absorption of fat by up to 30%. The idea is that fat is hard to absorb, so your body must break it down with lipase in order to increase the absorption. If you block the enzyme that breaks down the fat, then less will be absorbed and you may lose weight. 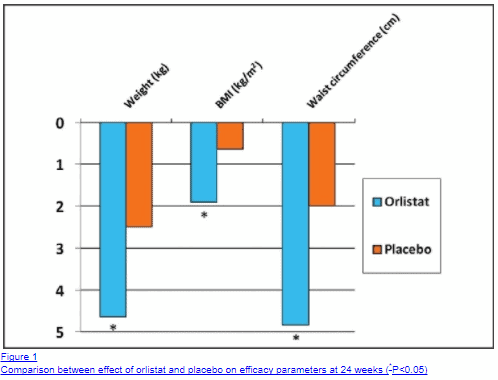 Daily use of Orlistat has been shown to help people lose on average around 10 pounds or so over a 24 week period. If you do decide to use Orlistat the best way to use it is in conjunction with both dietary changes (meaning the avoidance of unhealthy fats and foods) along with aerobic exercise. Studies show (10) that the combination of these therapies along with daily Orlistat use increases weight loss by up to 2.5x. Orlistat isn't as effective as other weight loss medications, but it is easy to get (it can be purchased without a prescription) which is worth considering if your physician isn't informed about newer weight loss therapies. One potential side effect of using Orlistat is loose stool that can be difficult to control. Because of this, it's wise to avoid fat as much as possible to prevent this unwanted side effect. You can learn more about using Orlistat here. Carbohydrate blockers (otherwise known as "carb blockers") may actually be worth considering. 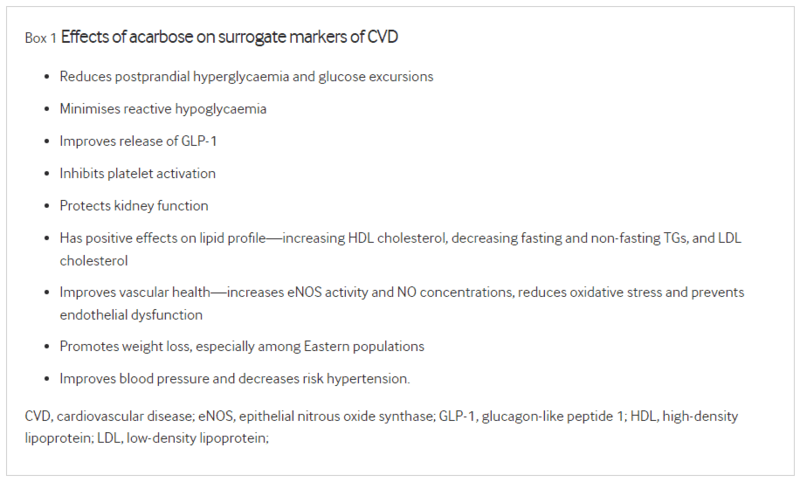 Carb blockers work by inhibiting an enzyme known as amylase (and/or glucosidase). Amylase normally functions to reduce complex sugars into more digestible and smaller forms of sugars known as monosaccharides. Sugars that are larger will not be absorbed by the intestinal tract and instead will be utilized as food and substrate for bacterial species that live in the GI tract (the microbiome). So why are carb blockers more effective than fat blockers? In most diets, especially in recent years, carbohydrates make up the single greatest source of calories. If we can reduce the absorption, or even slow down the absorption, of carbohydrates then we might be able to influence fat storage hormones. The use of carb blockers (prescription strength) prior to meals has been shown to significantly reduce postprandial glucose, C-peptide and insulin levels (11). In addition, carb blockers may also promote changes to colonic bacteria concentrations and actually improve healthy bacteria concentrations. We know that certain concentrations of bacteria can influence the number of calories absorbed and even alter metabolism. For this reason, certain probiotics (and even prebiotics) have been shown to help with weight loss. Taking carb blockers may provide your body with a new source of prebiotics (the undigested carbohydrates that you consume) and therefore alter colonic bacteria. Lastly, carb blockers act to slow down the rate of absorption of carbohydrates. This is important because it is hypothesized that the rate of absorption is important in determining if certain foods may be harmful to the body. We can estimate the rate of absorption of certain carbohydrates through the "glycemic index". The glycemic index is a measurement of how rapidly carbohydrates are absorbed in the GI tract. Foods high in the glycemic index are rapidly absorbed and may act to trigger insulin release. Conversely, foods low on the glycemic index are not as stimulatory to insulin and therefore may be more healthy. Certain characteristics, such as the size or length of carbohydrates may determine how quickly it is absorbed into the bloodstream. Carb blockers not only block absorption of certain carbohydrates, but they can also slow down the absorption by keeping carbs "longer". This delay in absorption can help treat insulin resistance and promote weight loss by itself. Prescription medications and dietary (over the counter) supplements. The only contender in the prescription medication list is Acarbose (13). Acarbose works by inhibiting an enzyme known as alpha-glucosidase, much similar to amylase that we discussed above. This medication was designed and used primarily as an anti-diabetic medication because of its potent blood glucose lowering effects. It was found through later studies, that acarbose (and other a-glucosidase inhibitors) also benefit several other systems in the body. They have been shown to reduce cholesterol levels, reduce blood glucose levels, they have an anti-platelet like effect and have virtually no risk of causing low blood glucose levels. In addition, some studies have shown non-diabetics who take acarbose do experience weight loss (14) - meaning the benefit extends to non-diabetic patients who are overweight. Despite all of these benefits, acarbose isn't used very often, especially when compared to medications like Metformin. Acarbose is an effective carbohydrate blocker that can be used in conjunction with other weight loss therapies to help patients lose weight. 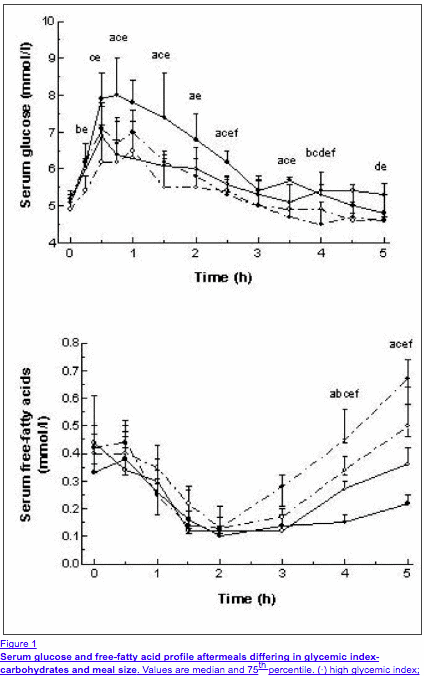 The trick to using acarbose effectively is to combine it with dietary changes and exercise to get maximum results (much like orlistat mentioned above). The problem is that it may be difficult to find a physician willing to prescribe it for you, which is where supplements step in. Certain supplements can either delay the absorption of carbohydrates in the GI tract or block some percentage all-together. In addition, studies have shown that these supplements may help with weight loss as well (15). 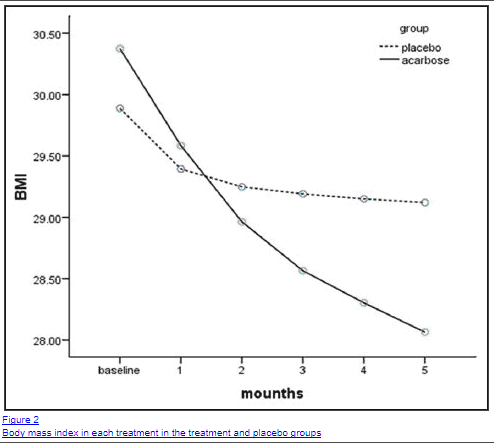 Over a 12 week period, non-diabetic overweight patients lost an average of 6-8 pounds compared to the placebo group of 1 pound. Carb blockers can safely be added to existing weight loss regimens to improve weight loss results and may be preferred over fat blockers in patients who suffer from insulin resistance or blood sugar issues (approximately 50% of the US population suffer from this issue!). White Bean Extract (Phaseolus vulgaris) - Phaseolus vulgaris works by inhibiting alpha-amylase (16) and by reducing the absorption of carbohydrate in the GI tract. It's well tolerated and also may help improve blood glucose levels. It should be used prior to each meal for best results. Glucomannan - Glucomannan is different from traditional carb blockers in that it delays or slows down the absorption of food in the GI tract. It acts like a viscous glue which delays the absorption but it will not block the absorption entirely. Studies show (17) that glucomannan can help with weight loss and may also improve blood glucose levels. For best results, it must be used 15-30 minutes prior to a meal and with a large glass of water. Do not take medications or other supplements along with glucomannan as it may reduce the absorption. Carb blockers are generally well tolerated, especially if they are used correctly. The main symptoms that patients complain about is a slight increase in flatulence which can be reduced by slowly increasing your dose over time. Some patients may experience transient changes to their bowel movements (generally diarrhea) for 1-2 days as colonic bacterial changes over time. These symptoms tend to be short-lived and can be reduced or halted completely if you increase your dose slowly over time. It's also worth pointing out that carbohydrate blockers do not cause hypoglycemia. This is important if you suffer from blood sugar swings, reactive hypoglycemia or take other medications that may alter glucose levels. Carbohydrate blockers appear to have more beneficial effects when compared to fat blockers. In some instances, it may be beneficial to use fat blockers, especially in circumstances when you can't control your diet. In most other situations, especially in patients who suffer from insulin resistance or high blood sugar, the use of carb blockers may be more effective for weight loss. This benefit is at least in part due to the changes seen in the microbiome and changes to both blood glucose levels and insulin levels. If you choose to use either a fat blocker or a carb blocker you should always combine these therapies with changes to your diet and exercise routine. Besides improving your overall health they will increase your weight loss results. Have you tried carb blockers or fat blockers before? Did they work for you? L-Tyrosine and How it Benefits Thyroid & Adrenal Function: Should you Use it?